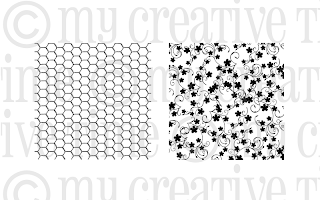 Scrapping Out of Control: My Creative Time's February Stamp release BLOG HOP! 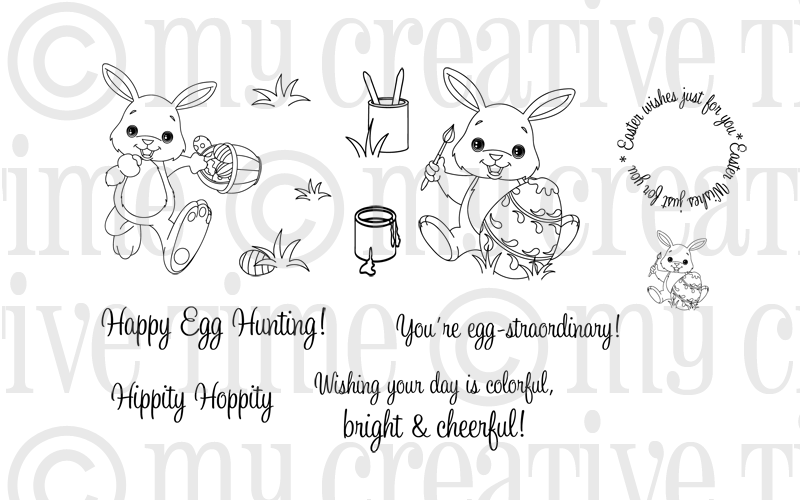 My Creative Time's February Stamp release BLOG HOP! 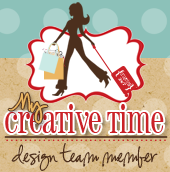 Welcome to the My Creative Time's February Stamp Release Blog Hop. If you came from Liz's blog, you are in the right place. Ok so this week has been a little crazy for me..I've been sick with a sinus infection but manage to get some crafty time in..For those of you who asked, yes the last mini album I made took a long time...Let's just say my poor house was not the cleanest but at least the family was fed..lol..Have you seen all the beautiful projects the design team members have made so far?? I was left speechless!! They totally rocked this release! I'm loving this set because it's so versatile..I especially love the background stamps! Ok enough blabbing..I have a lot to show you today!! For my project I created yet another Spring mini album using several of Miss Emma's stamps and dies. I cut the shape of the mini using the MCT XL Label Die...I used thin cereal box for my base..I then covered it using designer paper. I cut this tiny vellum envelope with my Cricut..It was in my stash so I'm not sure which cartridge I used. Check out my cute little tags! The window has a hinge which opens to reveal the beautiful flowers.. I'm loving this background stamp set!! Tags using the Curly Label Die. I used the Spring Chicken Background here...LOVE IT! Since the "HELLO" was stamped on the glitter part of the paper, the image was as not crisp. But I think it's just as beautiful! Ok up next is the very talented Miss Nikki..
Ok now for the big reveal!!! Here they are!! Please go check out Miss Emma's new store!!! It is so awesome!!! I'm super excited for her and cannot wait to see what she comes up with next! Thank you for joining us this week for another fabulous release at My Creative Time! Make sure to leave comments for a chance to win!! Big Crafty Hugs!! tHIS IS JUST WAAAAAAY TO GORGEOUS FOR WORDS!!!! WOW!!! YOU ARE AMAZING MY SWEET FRIEND! LUV YA! Really really gorgeous. I love this little album. I agree with Emma, amazing! Wow you did all this with a sinus infection!!! hope you feel better!! Great job I love how many of Emma's stamps and dies you used with this mini!! HI You did a great job. Wow, this is so pretty. I love the soft colors. Thanks for sharing. Darling!!! Wow, you've totally wow'd me today!!! This is so beautiful!!! Awesome work!!! Hope you're feeling better...I'm sitting here on antibiotics too...same thing with an ear infection to boot!!! TFS! WOW, what a beautiful album. Love all of the elements, that window is really cute. Your window is adorable! Great mini album. What a beautiful mini album!! Great job. Wow what a great album. I love the layers, texture. Very pretty colors of it too. Thanks for sharing. What a fabulous mini!! love the sweet colors and all the stamps! Nancy ~ Yet another GORGEOUS mini album! Oh WOW! EVERY single details is just BEAUTIFUL and stunning! I LOVE all the different textures too! I had to laugh about your post ~ I can totally relate! What a FABULOUS job! OMG-the project is beautiful! I love all of the embellishments! Perfect. TFS. WOW - what a beautiful mini!!! Such beautiful soft colors. The window is awesome - great idea!! Thanks for the inspiration!! PS - hope you are feeling better soon!! Your mini album is so sweet! I love the vellum and the glitter you used. It looks like spring! And to think it started out as a breakfast cereal container...Awesome! Wow! Amazing job to detail!All of your projects are beautiful. Wowsers, this is stunning!!! LOVE it. I love the Mini album, so pretty. Beautiful girl book! I don't get to make much girly stuff with a house full of guys. This is a beautiful mini album! love the colors and layers. Wow...these mini albums just amaze me. Nice job. What a beautiful album, i love it. Wow! Awesome album. Great ideas! I look forward to checking the blogs everyday for all the wonderful ideas! Beautiful job!! Sorry you have been feeling ill, hope you feel better soon!! Unbelieveable mini. Wow!! Your project shows how versatile Miss Emma's stamp sets are. I love the way they coordinate with each other. Amazing job. I must buy the curly label. I have the XL label die and I like how well the curly label die looks with it. Thanks for sharing. Cute mini! Love the colors. WOW...what a beautiful mini album! OMGOSH!! I just LOVE this..its so beautiful!! Another adorable little book!!! I don't know how you find the time to do so many of these, but I sure love them. Minis are my fave!!! Great work Nancy! Wow! What an amazingly beautiful mini! The colors are so soft and beautiful. Love it! Adorable mini album! What a cute idea! Wow another awesome mini!! 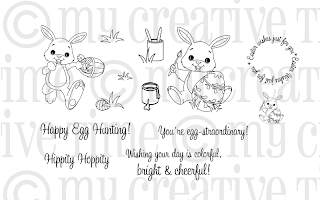 I love how you used the stamps from this new release as well as the other products from Miss Emma! Soft colors-they are just gorgeous! You ladies have rocked this release!! I was trying to talk myself out of ordering these but I can't wait for my order to get here :D this is a cute release and you did a great job on your mini. Feel better soon! Nancy: I like your project and the color are amazing. Thanks for share! So cute I love all the colors great design. I am now a follower. TFS! Another gorgeous mini. I love your detail your use of Emma's dies and stamps along with your paper choice. Very neat idea. I love the colors. I love mini albums and this one is especially cute!! Thanks for sharing!! This is GORGEOUS! You are so creative in the way you tie all of the different elements together. I wouldn't know where to start! Love it! The fence is adorable. Nice touch. Simply beautiful! LOVE all the little elegant details!!! Beautiful! I hope your feeling better soon. this mini album is gorgeous. thanks for sharing it. i love the colors you used, pink and green, my favorites and perfect for spring. Fabulous mini album! Love the springy colors. Wow, You did a great job on the mini. Love it. wow! awesome album! love all the colors and patterns you used!! WOW ... very elegant ... love the soft colors!! Great job on your mini! Love all of the fun details you added to it! What a sweet little mini scrapbook...love it! Beautiful spring mini!! I love your beautiful embellishments and sweet details. TFS! I am your newest follower:) I would love for you to pop over to my blog too:) I look forward to seeing more of your lovely creations:) Have a great wknd! This is such a great hop....and the DT is amazing! I can't believe how cute your cards are...that little hinged window is awesome! Love your little album!! It is so creative. Who needs a clean house when a gorgeous album can be made instead?!?!? This is fab!!! Hope you are feeling better. What a pretty mini album. Such detail. Thanks for sharing. Oh my what a gorgeous project! Thanks for sharing. This is super cute!! Love that window!! WOW what a gorgeous mini album. Love all the details. I know it must have been time consuming and you were sick too? I'm impressed. Great job. Mini album is just beautiful. How awesome. I love little mini books, just wish I would make some of my own. Wow! Your little mini album is sooooo cute! Thanks for sharing! Thanks for the lovely album and song! oh you take mini albums to a whole new level. Oh that is amazing and totally inspiring!!! You totally did an awesome job with the mini album. I love it! This mini album is beautiful!! It's so dainty and fun! I hope you're feeling better! Love the mini album with all the layers and extras...thanks for sharing. Wow! This mini album is GORGEOUS! Such intricate detail. You must have worked so hard!